Dimensions minifigures unique? Or just need to update the brickset db for some of them? I am a bit of a completist with minifigs. So when I saw the dimensions packs come out I sighed, thinking how my previously complete LOTR/TH collection was no longer the case. Upon investigation I noticed that the Dimensions Gimli minifigure has an ID of dim007. I noticed too that Gimli from LOTR has an ID of lor013. But the figures look identical. The same seems to hold true for Legolas (dim008/lor015). However, Gollum has the same code (lor031). Are these just database issues or are the dimensions figures uniques/new? Peter Venkman appears to be unique, as the one from the Firehouse (which is similar) has been slimed. 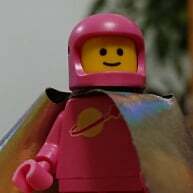 Brickset gets all of its minifig information from BrickLink, so however they have decided to identify them is how they show up here. @CommanderRaab I too am a completist and this Dimensions issue does complicate what I'm aiming for. But just as you pointed out, the figs are nearly identical if not 100% identical. So it boils down to the Bricklink shxxx versus dimxxx aspect as the main differentiator. By following the rational that dimxxx should be it's own category, I do not need them to be complete for the Superhero fig collection. Especially since I already have the same figs in their shxxx designation. That's how I reconciled it for now, with hope that no unique SH or SW figs will be released via Dimensions. I know it is silly but I sometimes feel a bit aggrieved that Lego does stuff like this on purpose just to mess with us. I mean there most likely is not somebody sitting there laughing maniacally while they release a "new" batman, but it does happen quite a lot. I like the way they are going for "season 2" . Most of the figures will not be available anywhere else. ^ good call on peter! he looks identical. You cant be a "bit" of a completist, lol, you either are or aren't. :) And if you are, then you must get them all, no exception...none....zero......nada....get'em all! Some Dimensions figures are truly unique, i.e. they have one or more new prints. The Wicked Witch, Cyberman, Mr. Stay-Puft, Gamer Kid, and Chell minifigures are wholly unique. Gimli, Gandalf, Legolas, Slimer, and Unikitty have new face prints, and the Doctor and all three Chima characters have new outfits. Venkman has different face and torso prints from the figures in the Firehouse Headquarters, and has arm prints and a hair piece that are not present on the original version from the Ecto-1. Doc Brown has all the same prints as the Ideas version but with a new, unique hair mold. Other Dimensions characters are just considered "unique" by virtue of mixing and matching existing parts in a new way. The ACU Trooper is identical to one of the generic troopers except with a tactical vest only worn by different ACU Troopers in the sets. The Dimensions version of Bane is the same as in previous sets, except with generic bricks to construct the Venom tank on his back. Kai is also identical to the Jungle outfit from the first half of 2015 except for his lack of a sword holder. Because BrickLink defines neck accessories as parts of a minifigure, minifigures like this with different neck accessories are treated as different entries even if they are otherwise identical. The Dimensions Batman combines the outfit of 2015 Batman figures with the cowl and face of earlier Batman figures, while the Dimensions Superman combines the face of the Man of Steel version of Superman with the outfit of the comics version. Joker's an unusual case — he's identical to the version from the Jokerland set, except that the Jokerland set gives him two face prints and the Dimensions version only has one. But the face print he has is still identical to one of the ones he has in that set.